Delighted with these pyjamas,nice and cosy also good quality. The pyjamas are just what I required. "Delighted with these pyjamas,nice and cosy also good quality. " 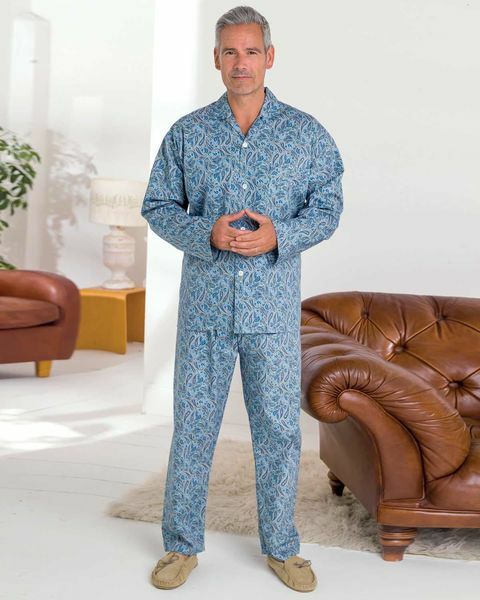 Pure cotton paisley print pyjamas with a choice of cord tie or elasticated waist fastenings. Gently shaped collar and single breast pocket on pyjama top. These pyjamas will keep you fresh and comfortable all night long.